As the CRISPR twins’ story unfolds, scientists revealed that the Chinese babies were likely altered in a way that improves memory and cognition. Having opened a Pandora’s Box of ethical issues already, the prospect of performance enhancing genetic modification should force us to take action now! Meanwhile are top story looked at a British scientist who developed a medical device able to inject drugs directly into the brain. The tech may open up new ways of treating an array of neurological conditions. In other news researchers found a link between populism and vaccine hesitancy, as anti-vaxxers parties have gained an increasingly large share of the vote across Europe in recent years. Over in the US former Trump lawyer Michael Cohen claimed Novartis had pushed him to lobby for the firm. The news came as pharma execs from seven major companies testified in front of the US senate. 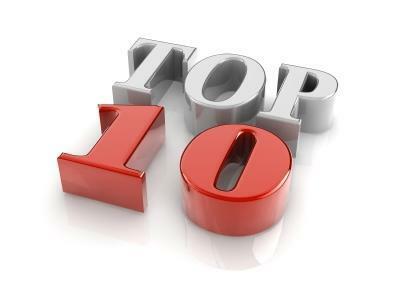 Check out this week’s top ten most popular stories on Pharmafile.com! Among the swirling storm emanating from the testimony of Donald Trump’s ex-lawyer Michael Cohen to the House Oversight Committee, one of the many controversial claims to arise is that pharma firm Novartis allegedly attempted to coax him the President’s “fixer” into lobbying government on its behalf. New data has been released on Sanofi’s Dupixen, derived from two Phase 3 trials, illustrating the drug’s efficacy in combination with standard of care corticosteroid nasal spray in the treatment of recurring severe chronic rhinosinusitis with nasal polyps in patients who have not responded adequately treatment with surgery and/or systemic corticosteroids. The news kicked off 2009 with a bang when Bristol-Myers Squibb announced it intended to acquire Celgene for $74 billion, but what could potentially be the biggest pharmaceutical industry merger of all time has been thrown into doubt thanks to a key BMS shareholder. The twins who were genetically modified using the gene editing tool CRISPR may have been changed in a way that could enhance their memory and cognition. The chairman of the Iranian Food and Drug Administration (FDA) Mehdi Pirsalehi, has said that Iran is ready to export medicines and medical equipment to Venezuela. Parent’s reluctance to vaccinate their children correlates with the number of people voting for populist parties, according to a study published in the European Journal of Public Health. More than 40% of GPs in the UK have voiced their intention to quit within five years according to researchers at the University of Warwick. A British scientist has developed innovative technology that is able to deliver drugs deep into the brain in order to treat neurological diseases including Parkinson’s and cancer.